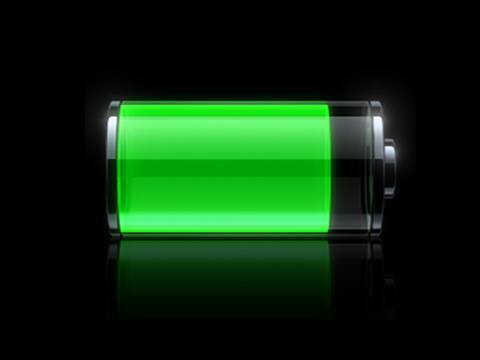 If you own an iPhone, iPad or iPod, you may have noticed something a little odd about the way it charges: fast up to a certain percentage and then slower and slower as it gets closer to 100%. I noticed this a few weeks back and since I know practically nothing about current, electricity, volts, amps, chargers, etc, I wasn’t sure if this was the way my iPhone was supposed to charge or not. Eventually, I tested it out on the iPad too and realized that it did the same thing. It would charge to around 70-80% pretty fast and then would slow down significantly before getting to 100%. Actually, from my calculations, the time it took to go from 1% to 80% was about the same time it took to go from 80% to 100%! In this article, I’ll explain the little I learned and understood about charging Apple products and hopefully will give you a bit of an understanding of what exactly is going. If you are an engineer or someone who knows a lot about this topic, feel free to post your thoughts in the comments! Unfortunately, this statement is technically inaccurate. The cable and adapter that you plug into the wall is actually just a power source. It draws current from your wall and delivers a set amount of amps and watts to your iPhone, iPad or iPod. The charger is actually in the device itself. That is why you can use an iPhone charger to charge an iPad or an iPad charger to charge an iPhone. The charger inside the iPhone or iPad controls the flow of current into the device, not the adapter. If you ever have checked, the iPhone adapter is rated at 5 watts and 1 amp. The iPad adapter is rated at 10 watts and 2.1 amps. Let’s take a look at this chart. On the Y axis we have Current Voltage (A/V). A is for amps and V is for volts. The first number is amps and the second one is volts. On the X axis we have the stages of charging: fast charge and trickle charge. Stage 2 is what explains why your Apple device slows down and takes more time to charge when you get past 80%. As you can see, the number of amps remains at 1 (for the iPhone, 2.1 for the iPad) for the first two hours and then drops off over the next two hours all the way down to zero when the device is fully charged. You have probably also noticed that sometimes when you disconnect your iPhone or iPad from the charger, it could be anywhere from 96% to 100%. This is because of the trickle charging. When it reaches 100%, it shuts off. If the battery starts to drop, it will kick back in around 96% and start charging again slowly. Why Do We Need Trickle Charging? So this bears the question: why the heck do we need trickle charging? Why not just fast charge all the way to 100% and be done with it? Well, apparently it has to do with the chemistry behind lithium ion batteries, which I have no idea about. In a nutshell, lithium ion batteries react very badly to being over-charged and therefore you never want that to happen. Trickle charging solves this problem by reducing the current at the latter part of the charging and completely stopping it once the battery is fully charged. That is why it is also not harmful to leave your device connected to a power source even after it has fully charged. In conclusion, the charger is inside your device and the thing you plug into the wall is the power adapter, not the charger! All this technology is there to basically preserve your battery life over many charge cycles. If you have any questions, let us know in the comments! Enjoy!